Gosh, I can’t believe I haven’t blogged for three months. I’m quite disappointed because I promised myself that I will blog more. Unfortunately though, the past months have been disorganized still and I have a hard time thinking straight. With so many things happening (personal and not), it was hard to keep track of stuff. But everything is cool and starting to be a bit organized now---hopefully this time, I can blog more. Especially when I have a lot of things I want to blog about. 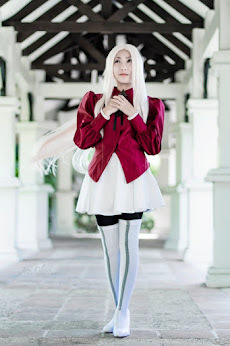 Despite being disorganized and busy though, I’m still active in cosplay. After all, this is one of my favorite hobbies and is my way to let out stress. 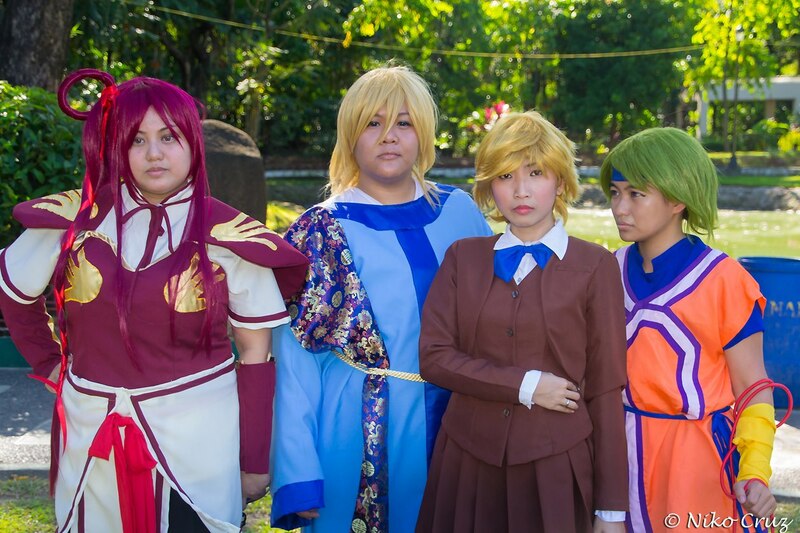 My boyfriend and I went to various conventions (Best of Anime and Cosplaymania), but we were looking forward more to the photoshoots because this is the time when we are with our close cosplay friends :D I had my last two cosplay photoshoots with the themes of new and old. 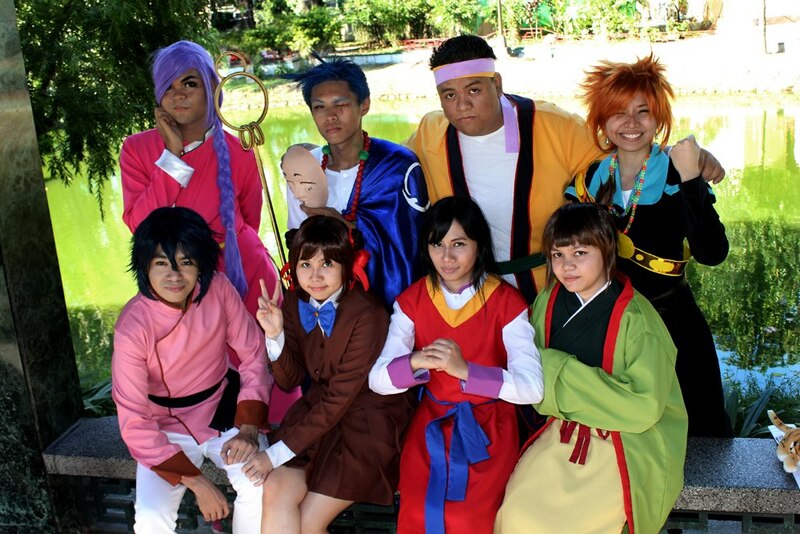 “New” because we had a shoot on the latest cartoon series “Legend of Korra”; “old” because we had another shoot on one of the old-school animes of our time: Fushigi Yuugi. 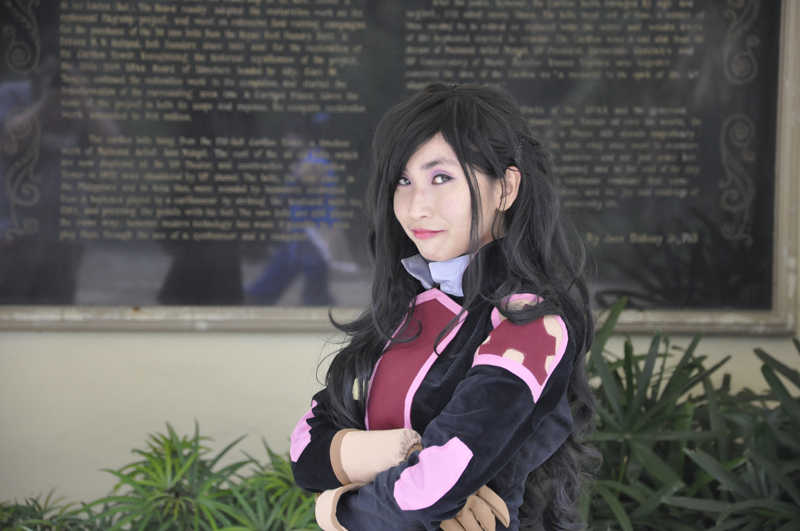 The “Legend of Korra” took place at the end of October in UP Diliman and Quezon Memorial Circle, where I cosplayed my favorite character in the series: Asami Sato. According to Avatar Wiki, Asami “is the only child of the former wealthy industrialist, Hiroshi Sato. 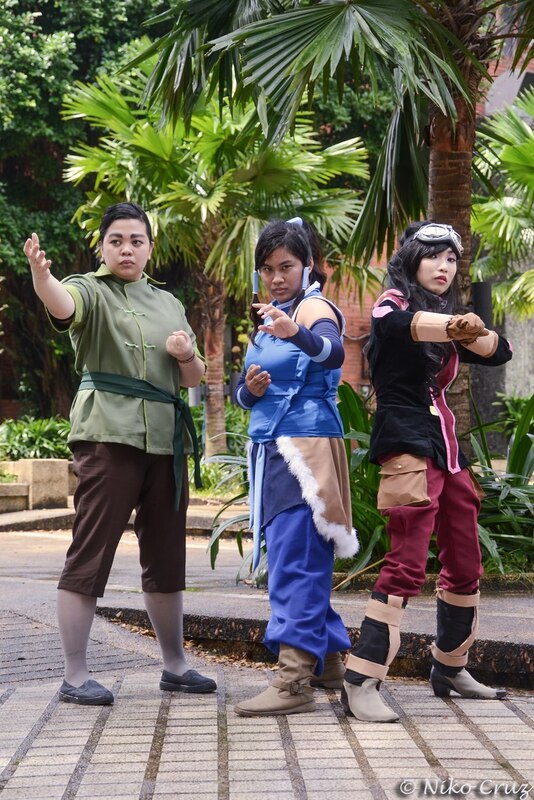 Although a non-bender, when she discovered that her father was working with the Equalists and he invited her to join him, she stuck to her beliefs and turned against him, later becoming part of the new Team Avatar. 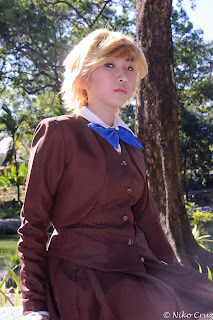 She has now become the new leader of Future Industries, planning to bring the company back to the peak of economic dominance and restore its reputation”. 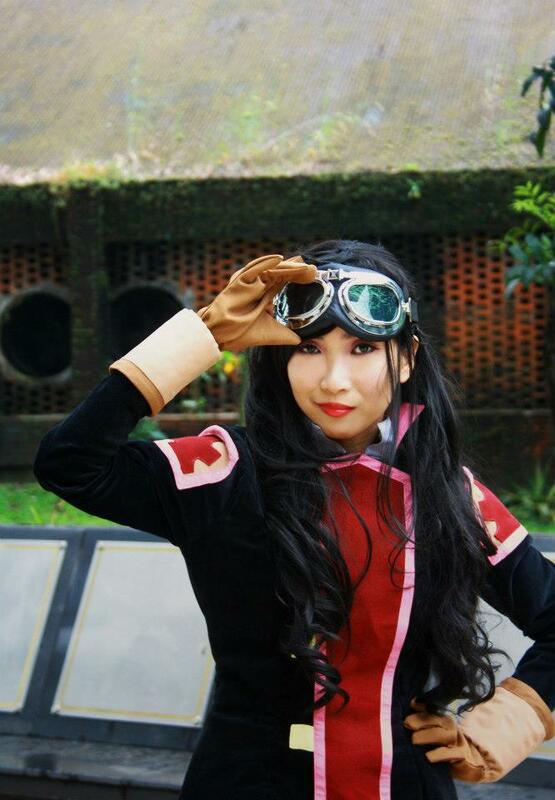 If you watched the series, you know Asami is no ordinary girl and knows how to defend herself despite being rich. 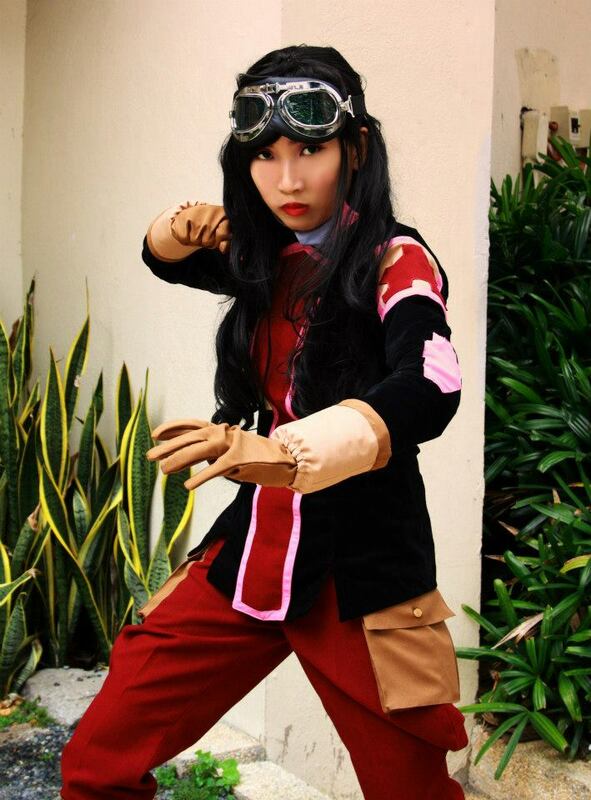 She fights enemies alongside Team Avatar even though she is a non-bender, thanks to her physical skills she learned while growing up. Her father made sure she can defend herself and had experts in self defense teach her. (Man, I wish my parents did that to me when I was little). 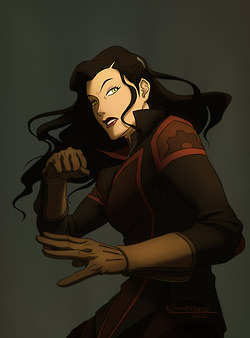 So what Asami lacked in bending, she made it up with her self-defense skills and using her main weapon, the Equalist glove. So now you have an idea why she is my favorite character. 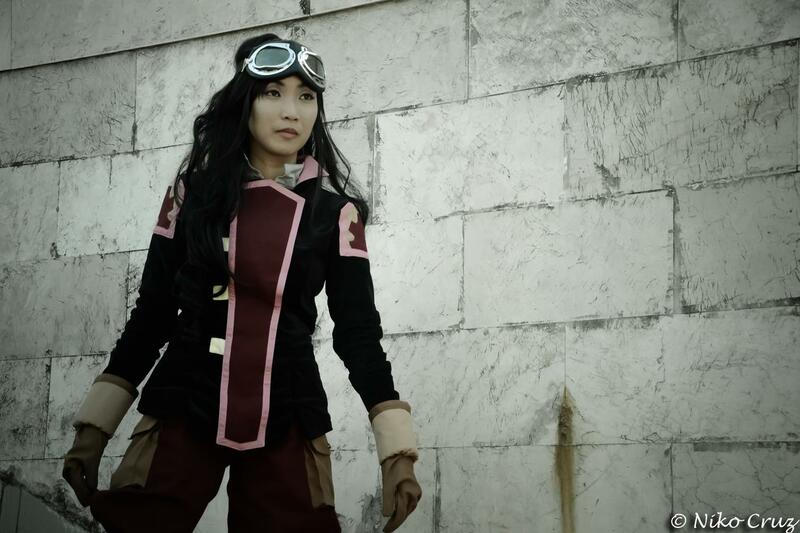 Anyway, I really wanted to cosplay Asami ever since I saw her the first time. As you can see above, aside from being a fighter, she is very pretty---everything I ever wanted for a favorite female character. I definitely looked for the perfect cloths for her costume and had it done to our seamstress near our house (who is also a legend) XD. The boots was a bit fail so I’ll have to improve on that. 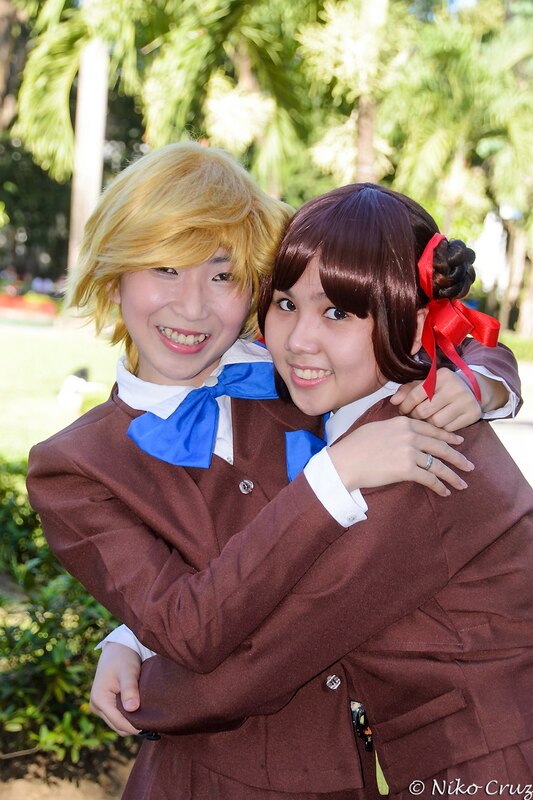 I super enjoyed our shoot although we didn’t have a Mako because we had a hard time looking for one :( But anyhow, the shoot was fun and the pictures turned out great and wonderful. 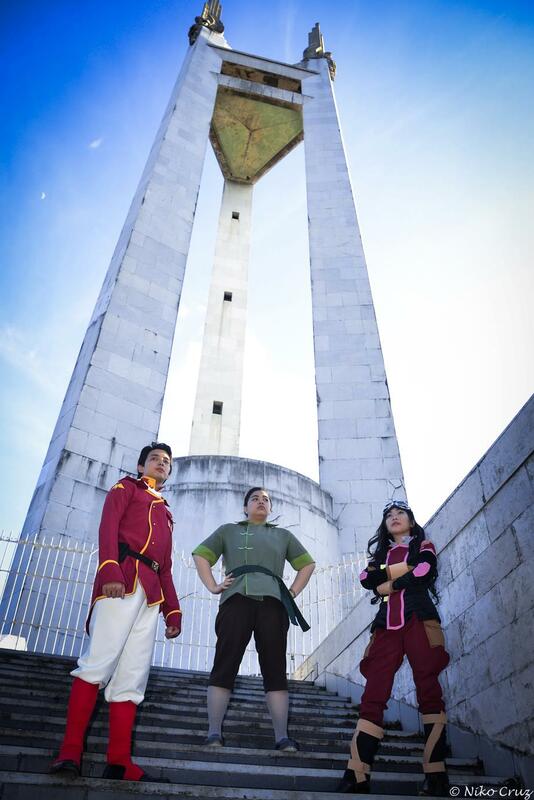 Here are some great pictures from our "Legend of Korra" shoot. Just click them to see the larger versions. 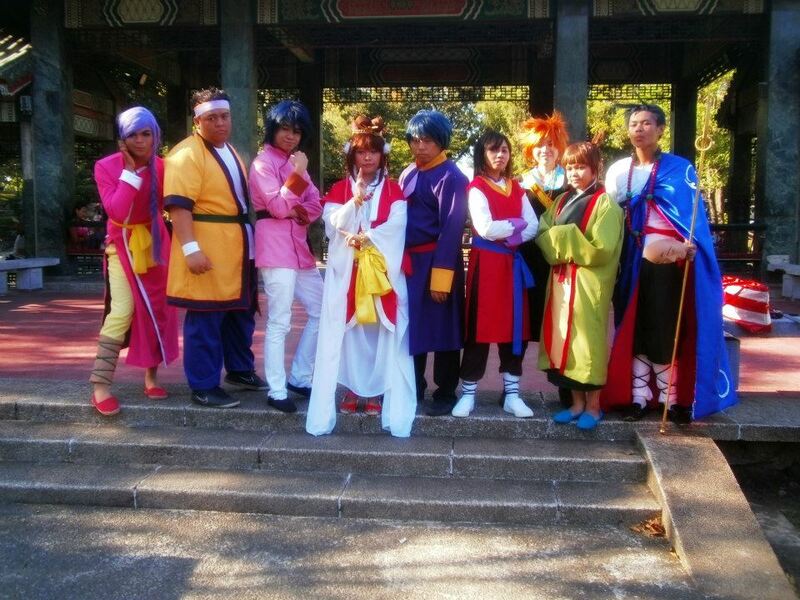 The “Fushigi Yuugi” shoot took place at the end of November and me and my boyfriend cosplayed. 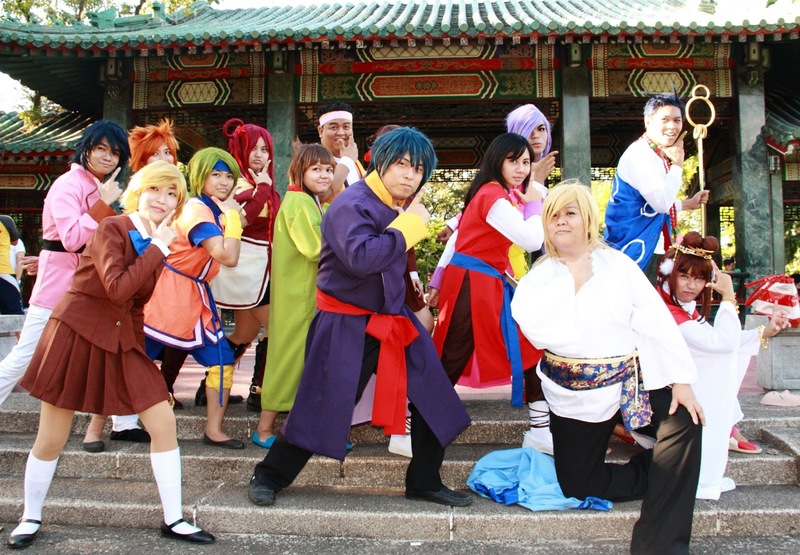 I was Yui Hongo, the priestess of Seiryuu and he was Mitsukake, one of the seven Suzaku Warriors (if you watched the series, you will know who those characters are). Anyway, most of us in the shoot were either big fans of Fushigi Yuugi or have watched and considered it as part of their childhood. We were pretty much excited for the shoot because it was nostalgic and brought back memories of our childhood/high school days. I was one of them as I was a really BIG fan of FY. So big that I totally memorized the names of the characters, their meanings, their signs and even the meaning of their signs. Then I had diskettes (yes, diskettes) of FY pictures and wallpapers and printed some out and put them in folders or have them laminated. I also bought merchandises such as keychains, stickers, cards and even cassette tapes. So imagine my happiness when I found out we were doing the shoot. 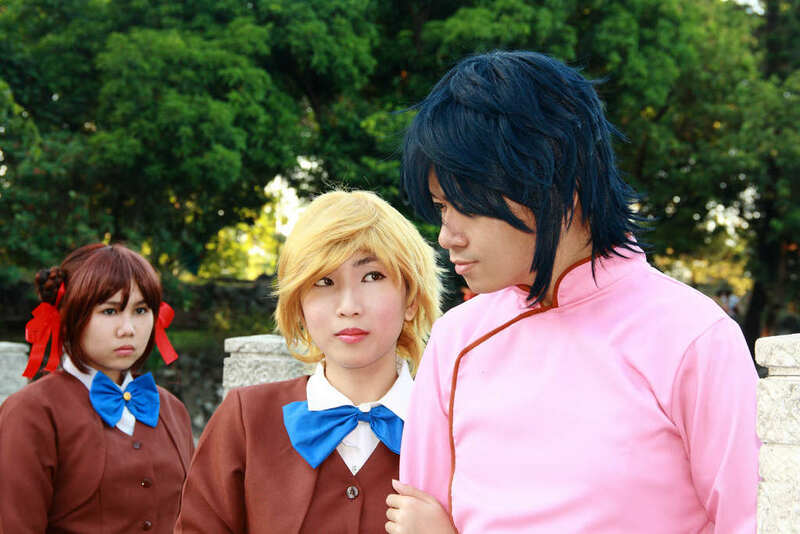 I was actually “nominated” as Yui by my friends, but did not refuse because Yui is one of the characters I can relate to while watching the series. 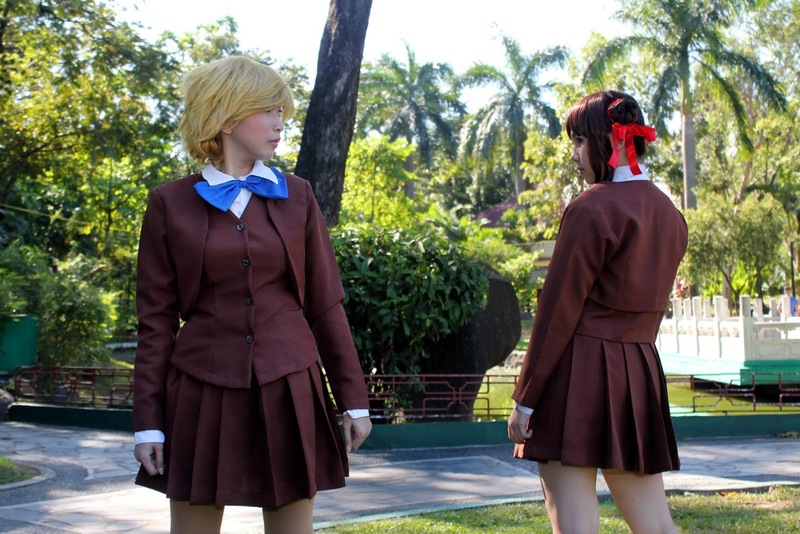 To keep it short, Yui and I experienced having trust and betrayal issues in high school and felt confused and angry. So while others hated her, I kind of understood her situation. 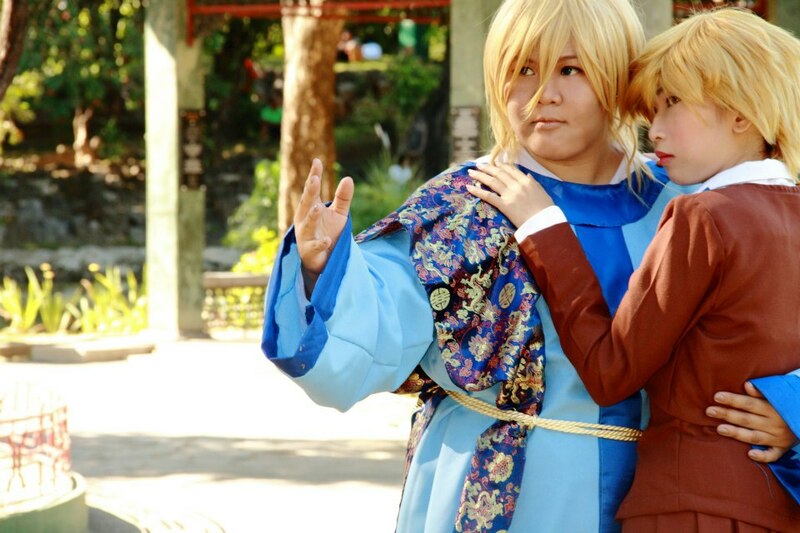 Anyway, before we get teary (hahaha), here are some of the pictires from our Fushigi Yuugi photoshoot that took place in the Chinese Garden, Manila. 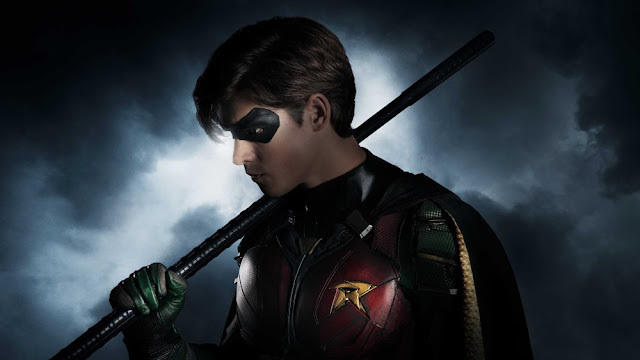 Just click them to see the larger versions. 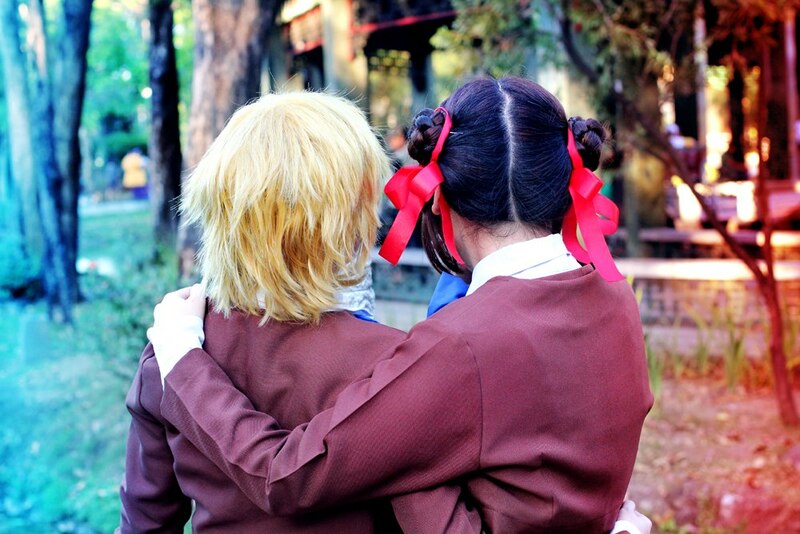 hi, might i ask, are you allowed to take pictures (photoshoots) there in the chinese garden? not needing permits and all?